LK Advani was once gently dissuaded from writing his regular blog in 2013 that coincided with the rise of Narendra Modi on the national scene. Of course, there was no correlation between the two, yet the coincidence raised doubts in his mind. Though quite perturbed over this suggestion, the BJP patriarch shunned writing blogs all these years — his last jotting was in April 2014 — till he decided to make an exception on Thursday. In his fresh blog post, he once again tried to explain his position in the party by reiterating the principle of “Nation First, Party Second and Self Last”, which he had learnt by rote in his training as a swayamsevak or RSS volunteer. 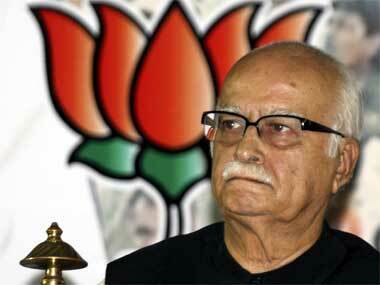 Advani had internalised these values since the age of 13 when he joined the RSS, he clarified. In his political life, Advani has always been highly articulate. But his blog is a classic example of a studied ambiguity which conceals more than what it reveals. 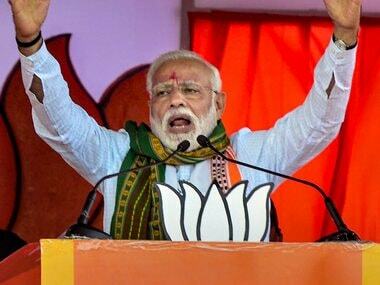 Take for example the manner in which he avoided mentioning the name of BJP president Amit Shah as his successor from the Gandhinagar Lok Sabha constituency and appeal for his victory while expressing his gratitude to the people for electing him six times since 1991. He clearly owed it to the party to which he swears unswerving loyalty. Always cautious of choosing his words, Advani would have been conscious of the fact that his emphasis on the distinction between "enemies" and "adversaries" would give fodder to the Opposition at the peak of the election campaign. 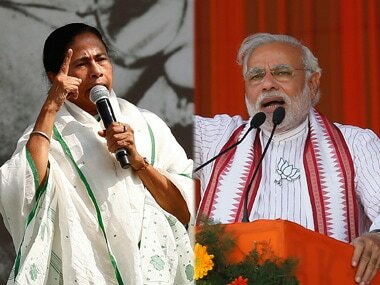 Since Prime Minister Narendra Modi and BJP president Shah have strategised the election campaign on the plank of nationalism, the political discourse is veering towards painting the Opposition as a pack of villains, Advani’s message is rightly interpreted as the veteran leader’s displeasure over the manner in which a section of the party has been steering the political discourse. 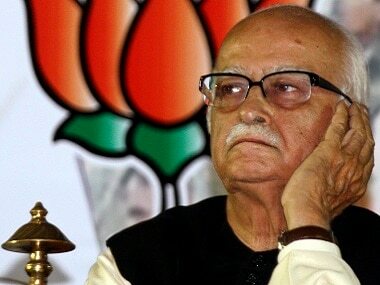 No doubt, there could be genuine angst in Advani’s formulation. Nobody can begrudge his right to be unhappy over vitiating political conversation in the country. However, given Advani’s background as politician, his protestations have a touch of hypocrisy about them. If you have any doubt, consider the peak of the Ayodhya movement led by him, and you would realise that the discourse had touched the extreme nadir during those times. In Uttar Pradesh and Bihar, riots had ensued as communal rhetoric was at its worst. Advani was singularly blamed for the situation then. Compared to those times, the rhetoric on nationalism is much less fiery. Advani’s call for introspection within the party was intended to serve as a rap on the knuckles of the ‘erring’ BJP leadership. But Modi has swiftly taken the sting out of it by tweeting and endorsing this blog post and praising Advani’s leadership and his self-less qualities. Quite clearly, within the party, Advani’s hidden message was overpowered by extolling him and his qualities as a leader in the true sense of the Sangh Parivar’s tradition. Perhaps the manner in which Advani’s fulmination was pushed to the background speaks volumes about the BJP’s deft management of the geriatric anger within the saffron fold. Apparently Advani’s problem emanates from his inability to reconcile with the emerging political realities after the 2009 Lok Sabha Election in which he was projected as the prime ministerial candidate and lost. His leadership was effectively marginalised though he retained his tenuous hold on the party’s organisational structure. 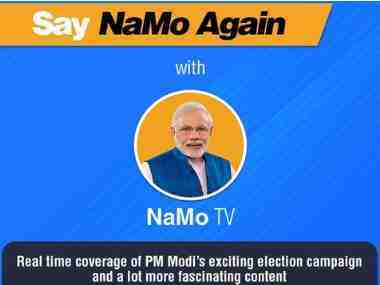 However, by 2012, Modi had emerged as the most popular face of the party when he won the Gujarat Assembly election for the fourth consecutive term as the chief minister. Advani further undermined his position by resisting Modi at every step till he was declared the prime ministerial candidate at the party national executive in Goa in 2013 — in Advani’s absence. Apparently it was in this context that Advani was dissuaded to write blogs on political issues as his opinions were often not in tune with the party line. Though Advani reluctantly agreed, he was unhappy over the manner in which he was stopped from expressing his views. He often expressed his anguish over this instruction which was seen as the gagging of the veteran leader. Advani's latest blog post is expected to be an exception given the fact that he is not known to cross the boundaries set by the party. However, despite expressing his discomfort, his commitment to the party’s values in his blog is an assurance to the Sangh Parivar leadership that the patriarch’s petulance would not go beyond limits.